The St. Laurent grape is in the same family as pinot noir. It is described as highly aromatic and is mostly grown in the Czech Republic, Austria and Germany. Blaufränkisch (literally “Blue Frankish”, also known as Lemberger) is a late ripening red grape rich in tannin, that is mostly grown in Central Europe. And finally, Zweigelt is a cross breed of the other two grapes which was created in 1922 by Mr. Zweigelt. It is now the most widely grown red grape in Austria. I am not familiar at all with Austrian wines, let alone red wines. From what I gathered over the last years, Austria has made a tremendous comeback from its crisis days in the 1980s and a lot of my friends are really excited about Austrian wines. The few wines I have tried were Grüner Veltliner and Rieslings (what else?). My hometown winemaker also produces a St. Laurent that is decent, Nina likes it a lot. 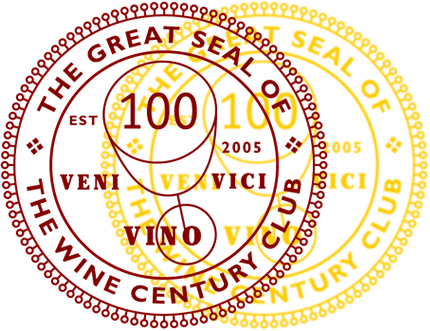 So when we saw that flight on the list, Nina and I decided to give it a try: two more grapes to knock off on our Wine Century Club application and the chance to try some reds from a region we knew practically nothing about drew us in. The first was a 2009 Sattler St. Laurent from Burgenland region. The Weingut Erich Sattler owns vineyards in what it describes as gravelly soil in the hot Burgenland region of Austria, around the village of Tadten. According to the website, the St. Laurent vines are over 40 years old. The winery’s stated goal is to make dense wines, and the St. Laurent ripened in steel tanks, staying on the lees for six months. It had 13% ABV. In the glass, the St. Laurent was of a lighter red color, similar to a pinot noir. In the nose it was quite alcoholic, with plum and strawberry aromas. It smelled a bit unripe. In the beginning, this lighter bodied wine had a smooth mouthfeel to it, but soon peppery and bitter aromas came in that were increased by a significant amount of acidity. Add to that some burnt notes and the wine seemed quite unbalanced to me. When re-tasted later, the wine showed a bit more fruit (berries) and had a decent finish, but also seemed rather thin. The second wine was a 2008 Prieler Johanneshöhe Blaufränkisch, also from the Burgenland region. Weingut Prieler is located in Schützen am Gebirge and its history goes back over 150 years. Prieler owns 20 hectares (around 50 acres) of vineyards. This particular vineyard is described as having brown loam soil with red pebbles, high in iron content. It also had 13% ABV. In the glass, the wine had a ruby red color and showed beautiful viscosity. On the nose, I got earthy aromas of mushrooms and plum. The wine had a good, velvety texture but rather harsh tannins. The aromas we got were quite confusing: I thought I tasted salami (I swear to God!) and there seemed to be a cheesy note to it, too. Really weird. The finish was very short and quite bitter. All in all, this was a pretty harsh wine to me. It just did not work. Nina thought it was overripe overall. The third and last wine in the flight was a 2009 Glatzer Zweigelt Riedencuvée from the Carnuntum region. Weingut Glatzer is located in Göttlesbrunn in this Roman settled area of Southern Austria. Glatzer owns 54 hectares (133 acres) in a number of different vineyards. It focuses on red wines, with the largest crop being Zweigelt (20 hectares). This particular wine was grown on sandy loam soils and had between 12.5 and 13% ABV. It was aged for 9 months in 2000 liter casks. In the glass, we got a darker ruby red wine. The nose was quite pungent, with aromas of sauerkraut, damp earth and burnt rubber. On the palate, this one had more weight to it than the other two. It had a velvety texture, but I could not get over the taste of burnt rubber that reminded me of everything that can go wrong in a pinotage; Nina remarked that she tasted ash. There were aromas of sour cherries and herbs, but the racing acidity in the end did not help it either. After 45 minutes I did get some strawberries, but the wine was just too sour for my taste. I am not sure I went away from this tasting with a favorable view on the three wines we tried (re-reading my notes, I am pretty certain I did not). In hindsight, the first of the three was the most pleasant for me. Too bad that I thought it could only get better from there. Naturally, I was quite disappointed. I am now eager to try more Austrian wines, because these definitely did not cut it for me and I am sure there are some out there that are better suited for me. Having no real experience with Austrian reds, and also knowing a number of German reds that I find sub par, it is hard to know whether it is me or the wines…it was puzzling. Has anyone tried Austrian reds and can point me to some I should try? Maybe Austrian Reds are just a style of wine that you don’t like. Prieler is a well respected producer so maybe you just need to move on. So much more out there. I like your review. I occasionally like tasting a wine that has a style that is not exactly what I enjoy. It helps remind me of what I do find to be balanced, elegant, etc. If you like the German Rieslings, Austrian Gruner Veltliner is where it’s at. Try Nikolaihof, Machherndl and Biohof Pratsch to name a few. For a softer red, look into the blends of the 3 grapes you tried. Heideboden Rot from Hannes Reeh is softer. Also, Austrian reds and whites can go a decade or more in the cellar. See if you can get your hands on some reds that have at least 5 years on them or so and see if you think they level out- maybe even 10 years. They are pretty in-your-face when young. I like them with food. Cheers! Thank you so much for your comment, Kirsten. As you, I do like trying new things and get challenged. And I did like the Grüner Veltliners I have tried in the past. I will be looking out for the ones you suggested. As for the Austrian reds, my search is not over. I will be checking for older vintages, but am a bit skeptical about finding them on this side of the pond. But we shall see. Again, thank you so much for your comment! It is very much appreciated. Your are one up on me, I just checked and I have never had an Austrian wine. So I found this very interesting. Really? The Grüner Veltliners (white) are pretty available in the US. You should try them. They can be quite interesting (and usually drier than the rieslings you often find here).